Best food and great price! Wonderful, and our cats love it!! the cats gobble it up with no problem! Try the Naturals formula ! 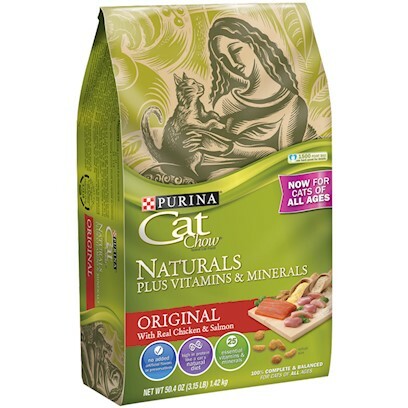 Purina Cat Chow Naturals are naturally good! Happy cats, but shouldn't all cat food be "natural"?